"Thanksgiving Day is a day we pause to give thanks for the things we have. Memorial Day is a day we pause to give thanks to the people who fought for the things we have." 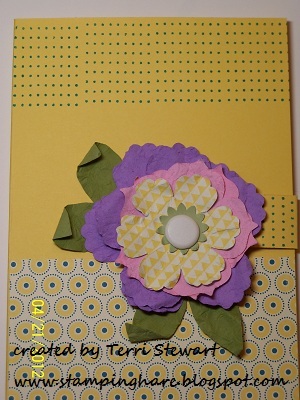 This is a quick post to share my entry to the current Pals Paper Arts sketch challenge PPA-135. My card features Stamping Up's Summer Smooches designer series paper (DSP) and Posy Punch stamp set. 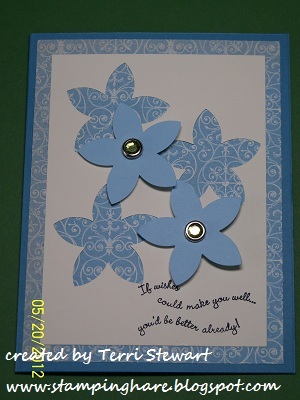 I used Daffodil Delight and Tempting Turquoise cardstock as well as tempting turquoise ink. The dotted scallop ribbon border punch picks up the circles in the top piece of DSP and the 5-petal flower punch mimcs the design in the lower piece. 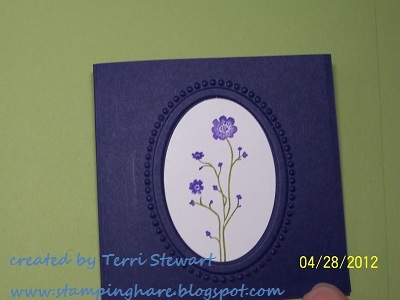 A few other details---this card was made with the SU notecard as the base; and the 5-petal flowers were leftover from my May stamp club. I like this card....might have to teach a class on it! Would you like to make a few of these? Shop my online store now, click here! April club projects, and more! In April, my monthly hostess club members wanted to make a masculine birthday card and a Mother's Day card. We made those cards and a couple other projects because I love to stamp and couldn't wait to share them! 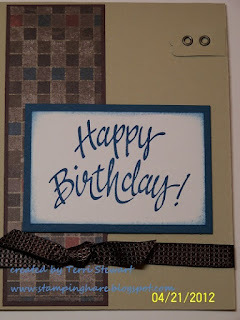 The masculine birthday card featured Stampin Up's Wellworn Designer Series Paper (DSP). I was inspired by a card created by Julie DiMatteo which she posted to her paperpixie website; click here to see Julie's card. My version uses SU Crumb Cake cardstock for the base and Not Quite Navy behind the sentiment, and Early Espresso quilted ribbon. Although in this photo the card has a Happy Birthday sentiment, I gave the club members the option of changing the greeting on this fun fold card to Happy Mother's Day. This card was inspired by a tutorial LeeAnn Greff posted to her flowerbug typepad blog; click here to see LeeAnn's tutorial and card. 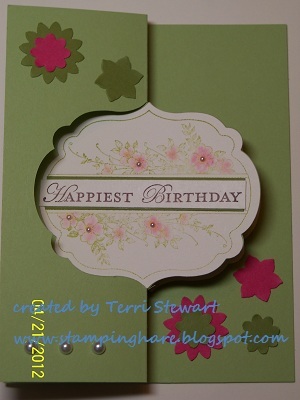 My version uses the SU Apothecary Art stamp set with Certainly Celery as the card base and embellished with flowers punched with Stampin Up's Boho punch in Melon Mambo and Old Olive cardstock. I added pearls, too! 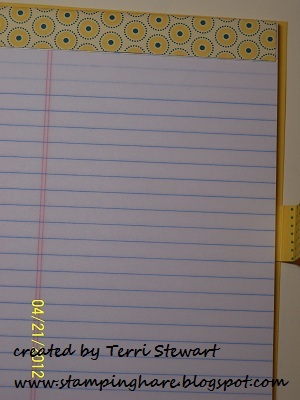 My upline Susan Aten shared this project with her downline---it's a notebook cover for a junior legal pad. Too cute!! 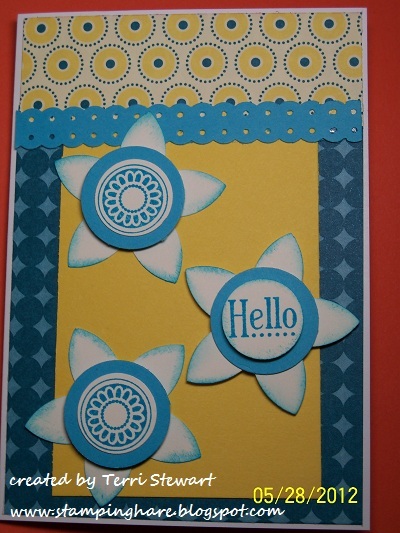 For the club version, we used Summer Smooches DSP, coordinating Daffodil Delight cardstock, and flowers cut from DSP and cardstock with SU Fun Floral BigzL die. To make the flowers appear worn, we spritzed each of the cardstock flowers with alcohol, crumbled then uncrunbled them, before pulling the cardstock layers apart. Very easy for a great look. I included this fabulous card in the mothly club projects because it's super easy. 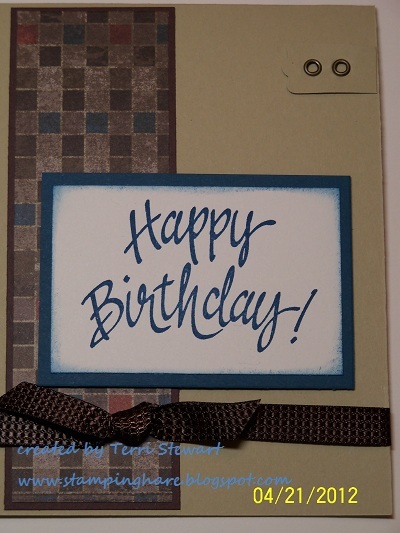 I copied it from Jen Sannes; click here to see Jen's card on her simpleandsincere website. My version incoporated SU Baja Breeze cardstock, coordinating ink, and the vine from the Best Friends Forever stamp set along with the Finial Press embossing folder. I give my club members a little something-something with each of their orders. This month I made each of them this 3x3" card. The inspiration came from one Cathy Bethel posted to her MaineMountainStamper blogspot; check it out here. My version was made with SU Concord Crush cardstock, Silhouette Sentiments, and the Designer Frames embossing folder; the image was punched out with the coordinating extra-large oval punch. 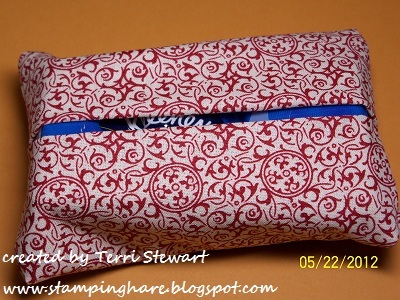 It's nearing the end of May and I haven't posted the projects I showed my monthly stamp club how to make. Then again I haven't posted much lately...it's been a busy time of year, but I have stamped and promise to share photos soon my recent stamping efforts! 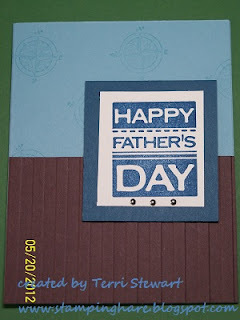 Father's Day card - features Stampin Up products Baja Breeze, Chocolate Chip, Not Quite Navy (NQN), and Very Vanilla card stock, and Open Seas Stamp set & All Holidays stamp set. The stripes embossing folder, NQN ink and baja breeze ink. This card was inspired by a card made by Shari Dudek and posted to her blog SharisStampPad blog, click here to check it out. Beau Chateau Designer Series Paper (DSP), 5 petal punch and the coordinating (and retiring) Triple Treat stamp, and rhinestome brads. 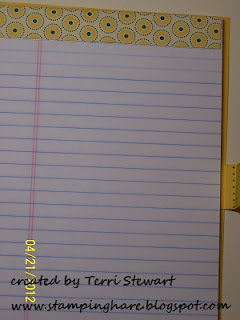 The cardstock--Marina Mist and Very Vanilla-- coordinates with the DSP. This card was inspired by one I saw on Cathy Bethel's MaineMountainStamper blog; click here to see Cathy's card. 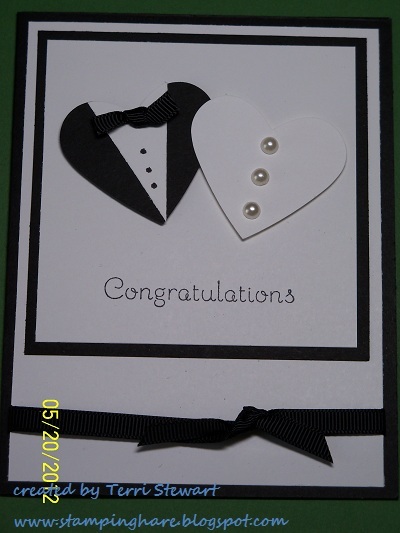 The wedding card doesn't have much stamping, it relies on punched hearts for the focal point. The colors are Basic Black and Whisper White cardstock with Stazon black ink for the greeting. I saw this card on the Stampin Up demo website; it was made by Teresa Hyde. I loved it and could not rest until I had copied it! We also made a fabric project using Stampin Up's Deck the Halls fabric--a quick and easy tissue cover. 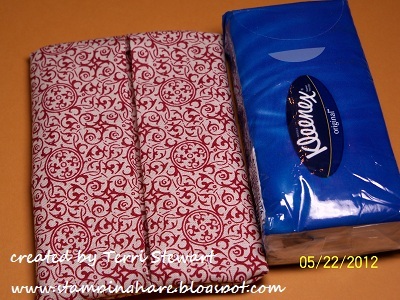 I found the instructions on pinterest; click here to visit Regena's The Distracted Domestic blog to see the tutorial. 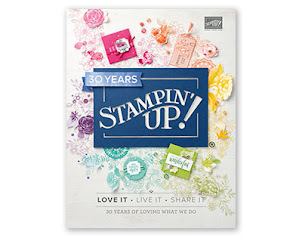 I'lll be starting a new monthly stamp club in July. If you live in the Baltimore-Annapolis area, give me a call or drop me an email to learn more about the club. Join today so you can make cool projects like these!